Straddling the continents of Europe and Asia, the country of Turkey serves as both a literal and metaphorical bridge between not only the East and West, but also the secular and religious. And while the interplay between these porous categories is present the world over, this dialectic is particularly salient in Turkey. Religiosity flows through the streets and the Muslim call for prayer echoing off red clay tiled roofs is testament to this (and indeed cannot be ignored when rousing one from their hotel bed at 5am in the morning).However, adorning many of these mosque-lined streets are pictures of a man both loved and loathed by Turkey’s residents: Mustafa Kemal “Ataturk,” founder of the Republic of Turkey. Ataturk, meaning “Father of the Turks,” is credited with transforming Turkey into the only Muslim country with a secular government. While this has brought a “modern” and more liberal character to the country (e.g., there is no legal punishment for apostasy and blasphemy), its policy of laïcité—assertive secularism—has come at some costs (e.g., banning all females wearing headscarf’s from parliament and university attendance, until recently, and government control over religious pedagogy, currently) (Sevinc, Hood and Coleman, In press). 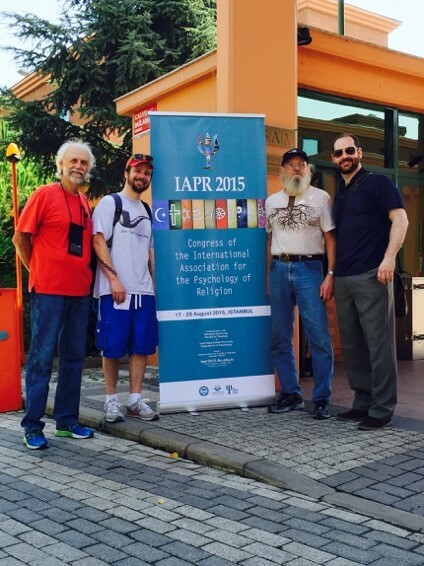 Nonetheless, this year Turkey served as the host country for the 2015 bi-annual International Association for the Psychology of Religion (IAPR) World Congress (conference link) in Istanbul, August 17th-20th. The present conference report pertains to research on atheism presented at the conference and is necessarily selective based upon my own interests and the sessions I was able to attend. For a report on the research in psychology of religion in general, presented at the conference, I encourage you to read Alex Uzdavines’s report at The Religious Studies Project. 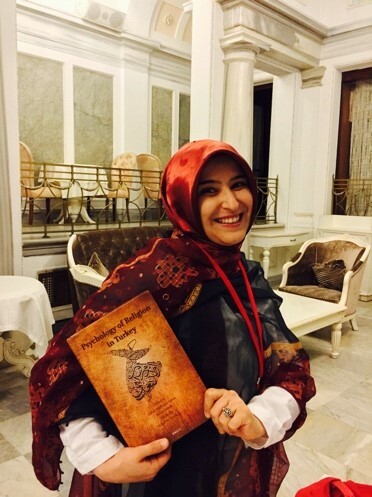 The conference was hosted between Marmara University’s Faculty of Theology and the Center for Islamic Studies. It consisted of regular paper sessions, invited symposia, and keynote lectures. Following the preconference only a day earlier, on the morning of the 18th I attended an invited symposia titled “Magic, Mysticism, Spirituality: Religion’s Fellow Species.” This presentation consisted of the first major mention of atheism at the conference, as Professor Heinz Streib discussed results from a forthcoming book he and Ralph Hood have recently edited, titled Semantics and Psychology of ‘Spirituality’: A Cross-Cultural Analysis. Specifically, he mentioned a small subset of the atheist respondents in their study identified as “spiritual atheists.” However, and rather than suggesting these atheists were somehow secretly harboring a true transcendental twinkle in their eye, Streib noted that their “spirituality” was, perhaps unsurprisingly, more horizontal in nature, lacking any reference to the supernatural but nevertheless embedding the person within a larger context. Prior to an unbelievable lunch (is there any better way to prepare for a delicious Turkish meal served up with famous Mediterranean hospitality than by attending an invited symposium on atheism? I would certainly doubt it), Paul Harris, Jonathan Lanman, and Will Gervais took part in a symposium titled “Religious Disbelief: Development, Culture, Motivation, and Consequences” Harris discussed his research, which suggests culturally available religious narratives may diminish young children’s ability to distinguish between reality and fiction. Lanman discussed his research with colleague Michael Buhrmester on the utility of the “CREDs” scale (Credibility Enhancing Displays), which has proved to be a robust predictor of religious belief and disbelief (e.g., Willard, 2015). Gervais, who joined the symposium via a prerecorded presentation, discussed his research on the roots of anti-atheist prejudice. Clearly these presentations have implications for some hypotheses in the cognitive science of religion that argue for children being “prepared” to believe in supernatural entities. This was evidenced by several questions and hallway discussions at the conference, which brought these theories under scrutiny using Harris and Lanman’s presentations. The final day of the conference, August 20th, began with the “Atheism: Psychological perspectives – Secularism & Nonreligion Journal Symposium” session. Here, Hugh Turpin discussed the preliminary results of his work on priming “CRUDs” (credibility undermining displays), and the role they may play in explaining the decline of religious belief in the context of the Republic of Ireland. Alex Uzdavines gave an overview of how the Religious and Spiritual Struggles (RSS) scale remains invariant across samples of believers and nonbelievers in God, provided the “Demonic subscale” is removed. Thus, perhaps unsurprisingly, but critically important no less, both believers and nonbelievers may share in general moments of struggles in life. Nick Stauner discussed additional research with the RSS, as he presented an overview of how different groupings of religiosity and nonreligiosity vary in relation to one another on the subscales of the RSS. In closing, Sarah Demmrich discussed her research on religious rituals in the highly secular context of Germany. Bringing the research on atheism presented at the 2015 IAPR conference to a close was a session titled “Atheist in the Mind: Multi-Method Perspectives on Attitudes Towards Atheists and Their Mystical Experiences.” Here, Jordan LaBouff presented research conducted with his colleague Carissa Sharp, where they are working towards reducing the well-documented distrust commonly extended to atheists by believers. Through a paradigm where the researchers manipulate positive imaginings involving interactions with atheists amongst participants high in religious fundamentalism, they have been able to reduce distrust and increase the potential for positive interactions with this group. Currently, they are working to extend this model to a longitudinal design. Many researchers uncritically apply the folk category “religion” to whatever their object of study happens to be. Often, this has the unfortunate consequence of denying special—even transformative—experiences (e.g., mysticism, moments of awe, etc.) 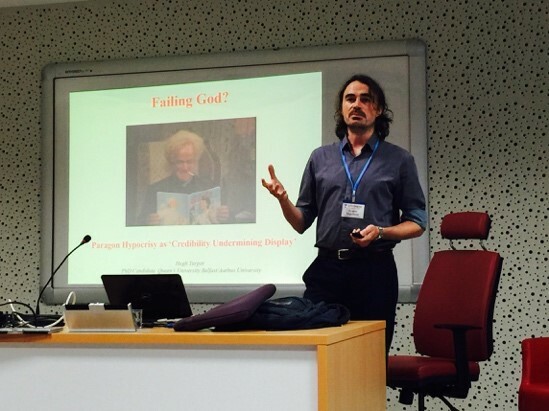 to atheists, as the domain of these concepts is naively, or even intentionally, thought to be something inherently “religious.” Thankfully, the final presentation I attended at the conference, by Alice Herron and Adrian Coyle, bucks this trend. Herron provided a grounded theory exploration into how these experiences are attributed meaning and fit within their particular life context of individual atheists. This presentation reminded me of the value in grounded theory approaches to phenomena, as her research provided further empirical data documenting processes of appraisal and attribution behind special experiences in atheists. In reflection, the overall conference experience in Turkey was first rate. The Turkish hospitality may be the stuff of legends (see 13 Things You’ll Only Understand If You’ve Been to Turkey), but it is no tall tale—it exists in reality. An organized boat tour of the Bosphorus strait ending in a five-course meal at a former Sultan’s palace were testament to that. The area to either side of the Bosphorus has been the meeting place of cultures, conquers (cultures again? ), and continents, stretching far back into human history. This joining together continues today. 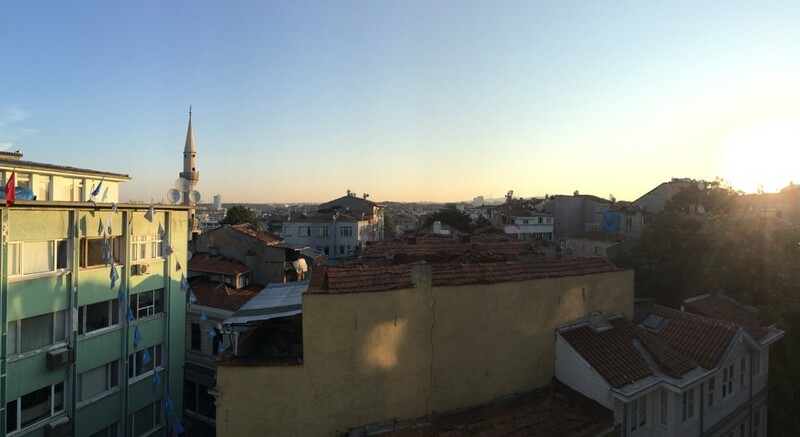 Whether it is the sound of the Muslim call for prayer enticingly vibrating the secular-western eardrum, or the tattooed Muslim woman you observe bringing a mug of cold beer to her lips at a roadside café, Turkey is a great place for these meetings and contains a largely untapped stage for future research on atheism and secularity. Galen, L. (2015). Atheism, Wellbeing, and the Wager: Why Not Believing in God (With Others) is Good for You. Science, Religion and Culture, 2(3), pp.54-69. Galen, L. and Kloet, J. (2011). Mental well-being in the religious and the non-religious: evidence for a curvilinear relationship. Mental Health, Religion & Culture, 14(7), pp.673-689. Sevinc, K., Hood Jr., R. and Coleman III, T. (In press). Secularism in Turkey. In: P. Zuckerman and J. Shook, ed., The Oxford Handbook of Secularism, Oxford University Press. Willard, A. (2015). The basis of belief: The cognitive foundations of supernatural beliefs. Ph.D dissertation. The University of British Columbia. This entry was posted in Event Report, NSRN Blog and tagged 50 Voices of Disbelief, Alex Uzdavines, Alice Herron, CREDs, Event Report, Heinz Streib, Hugh Turpin, IAPR World Congress, Jonathan Lanman, Jordan LaBouff, Marmara University, Paul Harris, Secularism and Nonreligion Journal, Thomas J. Coleman III, Will Gervais, Zuhâl Ağılkaya-Şahin. Bookmark the permalink.